Waw, those non-scale goals are real eye-openers, and seem very motivating to me! I'm with you on the water-intake. Fruit juices are ok, but really sugary, and I just drink too little on the whole. I bought some really big glasses (400 ml, I think), and I committed to drinking at least two of those a day. If I do this consistently, that should help, or that's at least what I hope. Thanks for this post, I'll certainly come back to check out on how it goes! Good luck on your weight loss/ healthy living goals! I too am beginning anew with those. I just wanted to suggest drinking hot water in the winter. I drink it out of my coffee mug and it is perfect. I just like warm liquids in the winter. Since I began doing this I have very little problem getting my water in. Let's do it. I like your NSV esp the wedding ring. I also think starting small is the best way to go... so you build up you stamina and can experience lots success. Have great week. 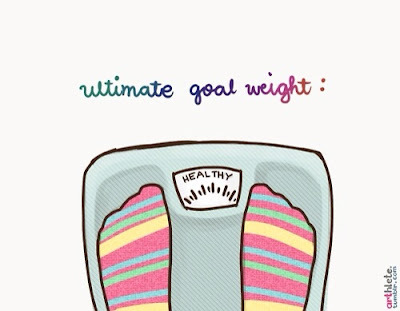 Love your goals! I am doing the challenge as well. You're taking a GREAT first step and I think you'll find that the blogging world is very supportive. I personally could not have done it without all my blogging buddies!! Looking forward to reading!